HOW FAR WOULD YOU GO FOR souvlaki? I'm not talking about the late-night, booze-sopper variety inhaled en route from the pub. I'm talking about the genuine article: a pork gyros with house-made dip and char-grilled pita, just like you'd find in Greece. "In Greece, it's all pork gyros," says Thomas Deliopoulos, who, with wife Sylvia Gabriel and young son, Angelo, left their homeland and moved to Australia 15 months ago. 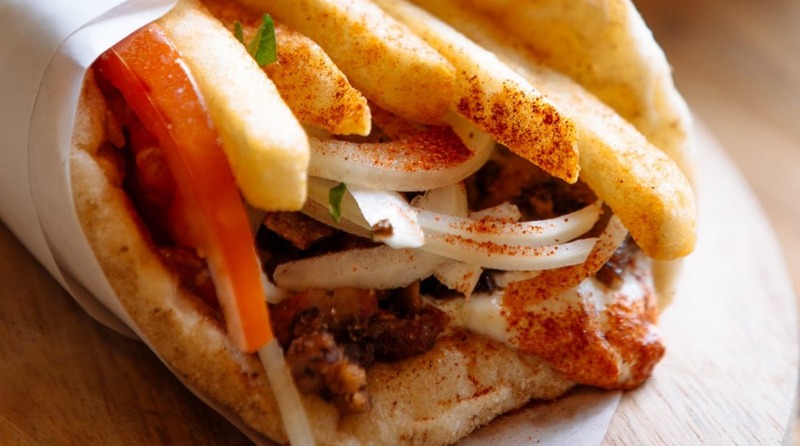 Deliopoulos was confused by Melbourne's so-called "souvlaki", made with lamb and "pita from Lebanos", and Gabriel says their Greek-Australian friends warned them "Australians don't eat pork, they hate pork". Back in the '50s, when the "Aussie souva" was born, this was probably true, but Kalimera is doing something right - it sells about 3000 gyros each week and at least 2000 of those are its signature pork souvlaki. Deliopoulos' parents were farmers and pig breeders, and he uses only small, female pigs that weigh about70 kilograms. "The male is no good because it smells," he says. The oregano comes from his parents' farm, sent by his brother in vacuum-sealed bags. Deliopoulos uses only rock salt and extra virgin olive oil - Greek, of course - and makes all the dips, from the paprika to yoghurt-based, herby "kalimera". The spongy pita is made at a local bakery, served warm from the charcoal grill. 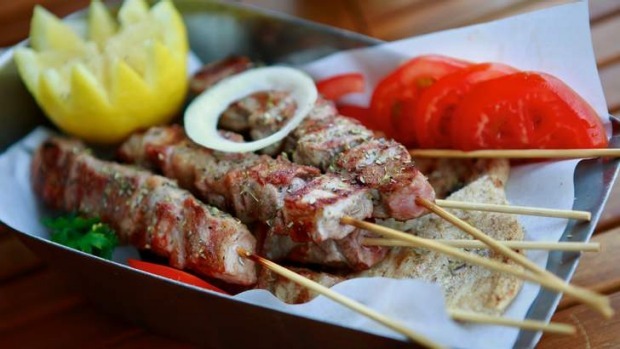 For the souvlaki, it's wrapped around onion, a few golden chips, tomato, house-made tzatziki and juicy spit-roasted pork. It's a great souva, and a cut above its competitors. There's a chicken version, too, or have it deconstructed, platter-style, served in metal trays in the tiny eat-in area. Excellent smoky pork skewers are hot off the grill. And the Cretan dakos salad is worth trying - crunchy wholegrain barley rusks, topped with quality feta, tomato, caper leaves, oregano and a drizzle of olive oil. It has been a big move for Deliopoulos' family. "It's very hard in Greece, hard to raise a kid. We felt there was no future," says Gabriel, who is an Australian citizen - her parents emigrated in the '50s. "It's not only the financial thing, it's very dangerous to live there. People are really depressed." She says Kalimera is "not just a place, it's all our dreams and our hopes". You can see the love here. So, how far would I go for good souvlaki? I drove 40 minutes, and I'd happily do it again.